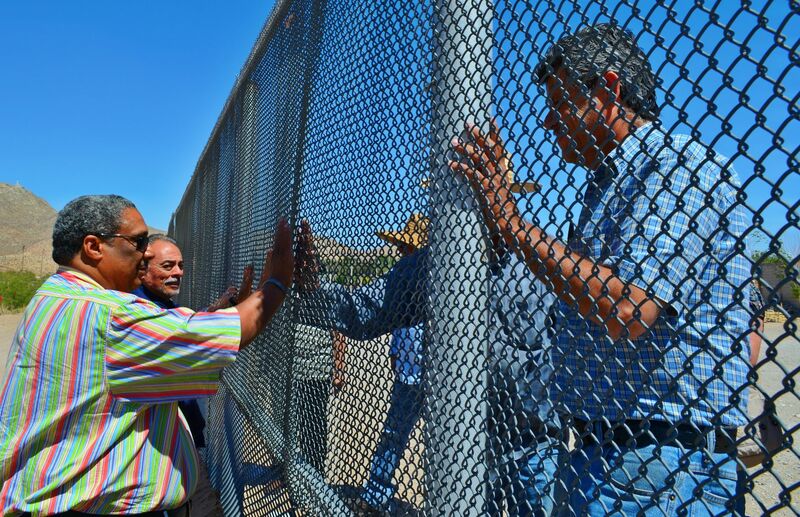 Ralph McCloud of the Catholic Campaign for Human Development visits the US-Mexico border. CSMG brings together bishops, clergy and religious and lay leaders in the Church and society to do just that. The economy and poverty, war and peace, religious freedom, the Church’s relation to society and the individual Catholic’s role in community life are all themes for prayer, discernment and studied action. Immigration is a central theme for people of faith. The bishops have made clear for decades that the biblical command to “love the resident alien, for that is what you were in the land of Egypt” (Deut. 10:19) has consequences for how we ought to understand immigration in the United States. Those who come to CSMG next week will go to Congress to stand with the bishops in their call for our nation to respect the humanity of the migrant. Congress should enact laws that will offer those persons without documents the opportunity to earn a path to citizenship. More than lip service should be paid to the bedrock importance of the family; the contribution of immigrant families should be recognized and Congress should pull back from proposals to reduce family-based immigration visas. Some proposals would diminish safeguards for low-skilled immigrant laborers, including those who harvest the food placed daily on American dining room tables. Those workers, too, deserve appropriate protections and options to earn citizenship. Efforts to roll back the President’s recent executive actions to protect certain categories of immigrants should be opposed. The bishops have noted to the House of Representatives that rolling back executive action would be devastating for millions of hard working immigrants and that the threat of deportation would unnecessarily threaten family unity. Congress should instead focus on passing all the elements of comprehensive immigration reform. Of course, migration is a complex phenomenon, and more and more people around the world are migrating, in large part due to economic inequality between nations, conflict and even climate change. Pope Francis has pointed out that “solidarity with migrants and refugees must be accompanied by the courage and creativity necessary to develop, on a world-wide level, a more just and equitable financial and economic order, as well as an increasing commitment to peace, the indispensable condition for all authentic progress.” For that reason, participants will also stand with the bishops of the United States in calling for efforts to address the root causes of migration, including just trade policies that respect people’s right not to migrate and for efforts that address the economic imbalances and violence, especially in Latin America, that compel them to come to the United States in the first place. Dylan Corbett is manager for mission & identity outreach at the USCCB Department of Justice, Peace & Human Development. Check out the USCCB backgrounder on the root causes of migration.